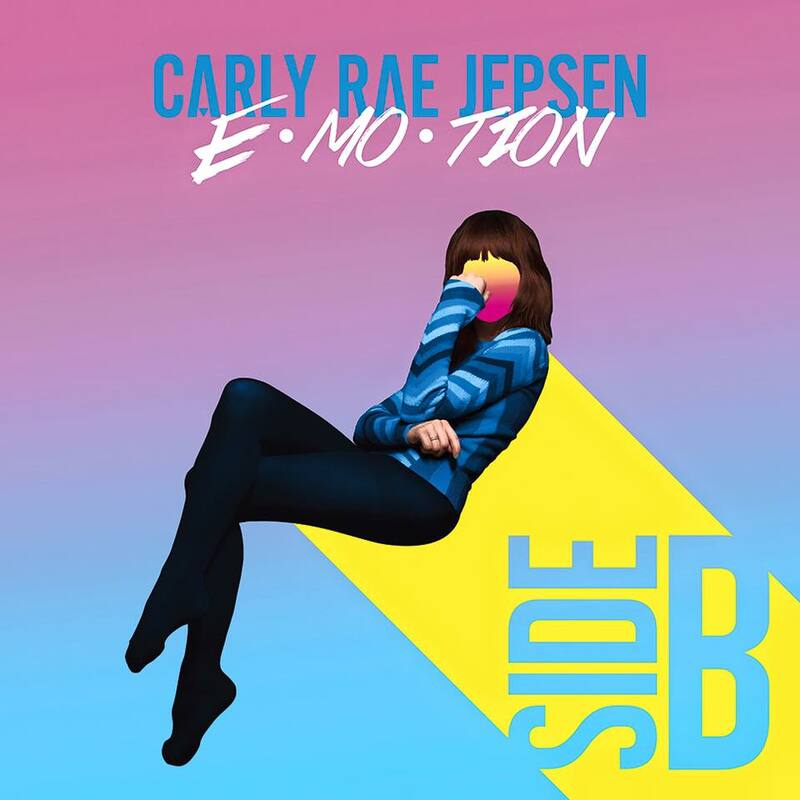 It’s pretty easy to dismiss Carly Rae Jepsen as a one hit wonder, but ‘Emotion’ (stylised ‘E•MO•TION’) was one of the best pop records to be released in 2015 and was criminally ignored by radio. (‘Run Away With Me’ is still my favourite song from last year). So for the one year anniversary of the release of her masterpiece, Jepsen has released an EP of some extra tracks she calls ‘E•MO•TION Side B’. How do they stack up? I might be fangirling, but these additional tracks are just as good as those on the original LP, but it’s obvious why they didn’t make it onto last year’s release; The nine tracks included on this EP are all a bit same-same. Having said that, the quality of these extras is exceptionally high. Opening track ‘First Time’ is a feel good stormer. In the vein of some of Katy Perry’s major hits, it’s retro, funky and extremely catchy. Unsurprisingly this could be in part due to the fact she’s worked with hitmaker Wayne Hector (Olly Murs, Nicki Minaj, One Direction); it’s a great way to kick things off. ‘Body Language’ sees Carly again connect with writer Dev Hynes (he co-wrote her single ‘All That’ from the original ‘Emotion’ album) and it’s a great collaboration. It feels like a natural extension from the tracks that precede and because it’s so catchy, you forget this song was originally rejected. I am also a fan of the mid album/EP change up and that’s where ‘Cry’ comes in. A slice of sad pop heaven, it’s another song you can’t help but put on repeat. I often talk about light and shade in albums and how this dynamic helps to create special moments and I think that is what is missing a bit here. It’s hard to do on an EP but this balance may have helped it feel less like a bunch of rejected songs and more like another brilliant pop moment. This collection is a welcome gift from Carly Rae Jepsen for fans, but in this instance, I would choose my favourite songs and add them to a revised ‘Emotion’ playlist. MUST LISTEN : First Time, Higher, Body Language.